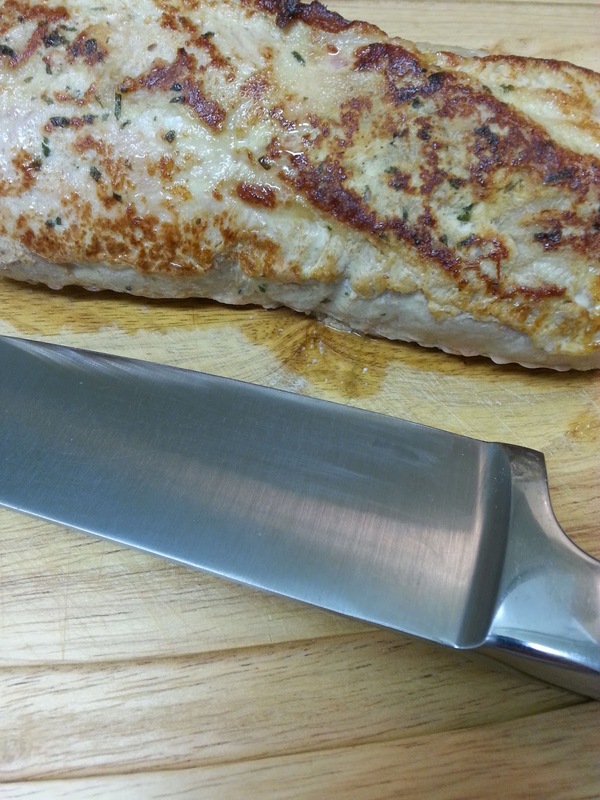 The lemon garlic marinade gives amazing taste to this pork tenderloin. Combine extra virgin olive oil, lemon juice, garlic, honey, salt and pepper and place in a sturdy 1 gallon resealable plastic bag, and add pork tenderloin, turning pork tenderloin until well coated, press out the air and seal the bag. Place in refrigerator and marinade for 1 to 4 hours. 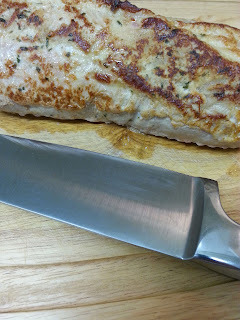 Remove pork tenderloin from bag and discard marinade. Season meat with salt and pepper. Heat 3 tablespoons oil in skillet, sear pork tenderloin on all sides until golden brown. Place tenderloin onto a baking dish. Place in oven and roast for 20 minutes per pound. Internal temperature reaches 145 degrees (you will see a little pink, this is just fine). Let rest 10 minutes before carving. Note: place lemon on cutting board and using palm of hands press on lemon and roll back and fourth a few times to get the most juice from lemon. It is. Tender, juicy and delicious. Thanks, Claudia! We love lemon and garlic on anything... This sounds great!